So, what do you do with a puzzle after a child has mastered it? Do you stash it away until another child needs it? What if you only have one child to use it? With some high-quality puzzles, that could get very expensive. Some kids get bored with a puzzle after the first time they have solved it. I love re-using puzzles for other purposes. 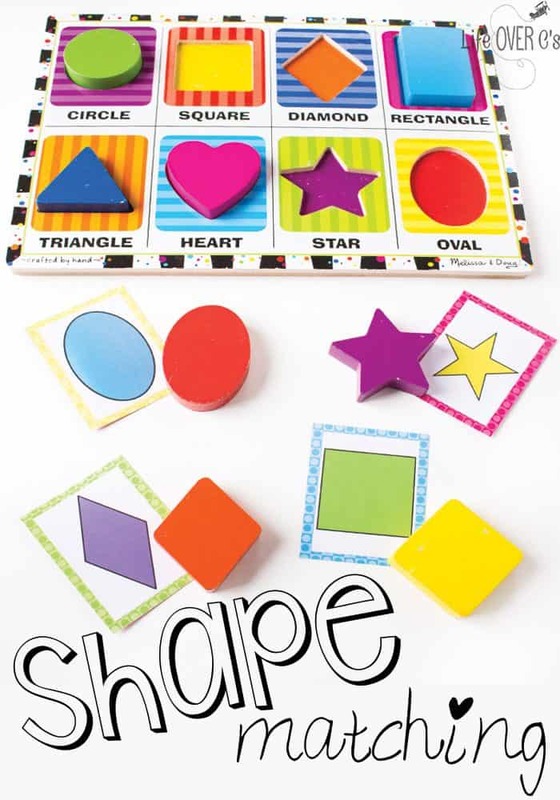 Today we used this puzzle & shape matching cards to explore our puzzle in a new way. 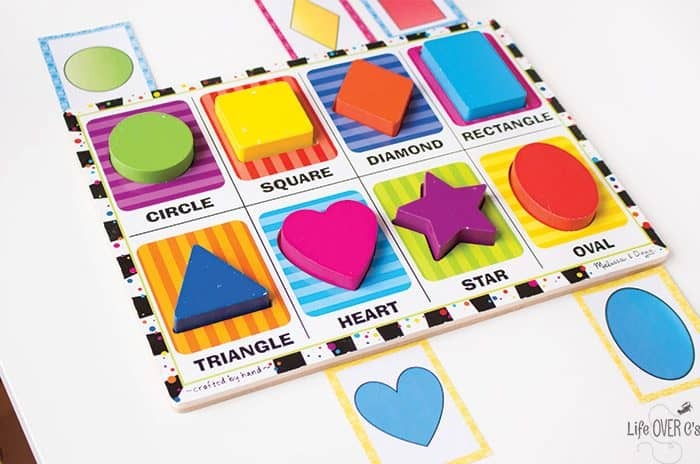 To prep: Print the shape cards on scrapbook paper, laminate and cut apart. 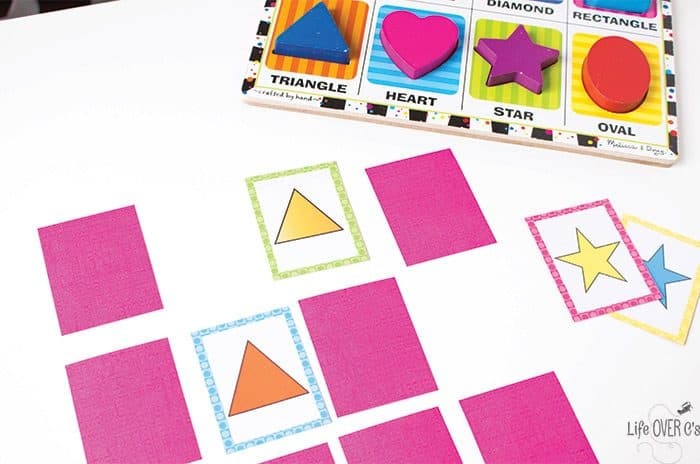 Printing on scrapbook paper makes it so the kids can’t see through the cards which is important for a memory game. Regular printer paper becomes see-through after color is printed on it. 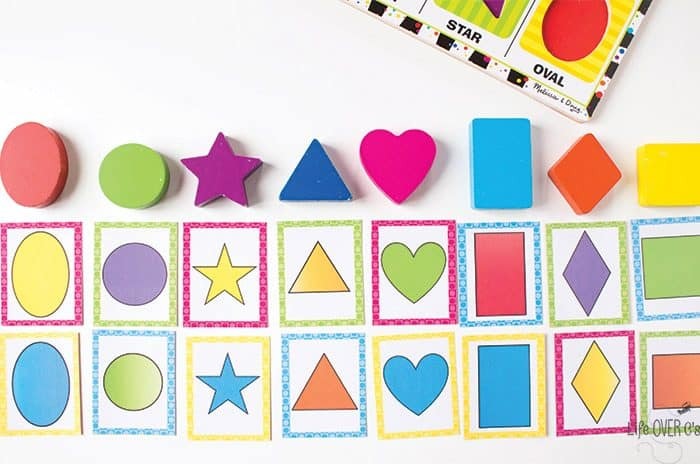 Plus, the cute backgrounds are so much more fun to play with than plain white paper! 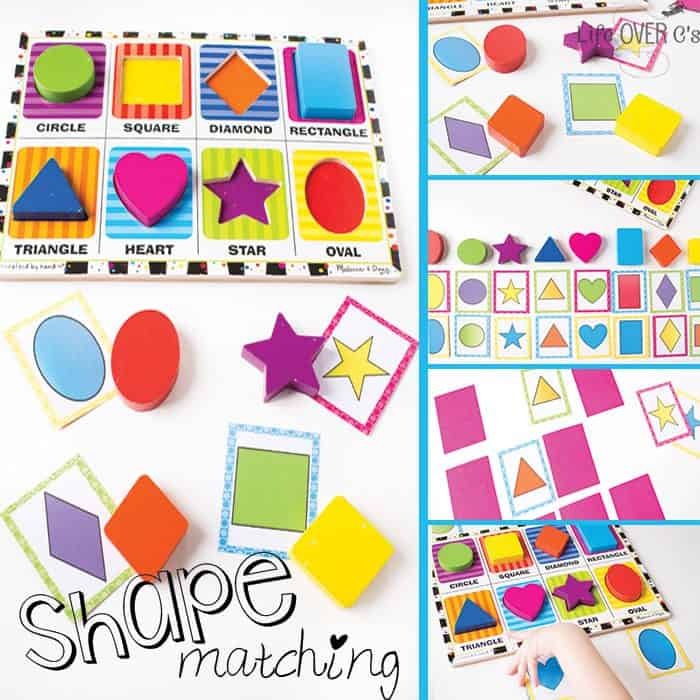 There are lots of fun ways to use the shape matching cards with the Melissa and Doug shape puzzle. 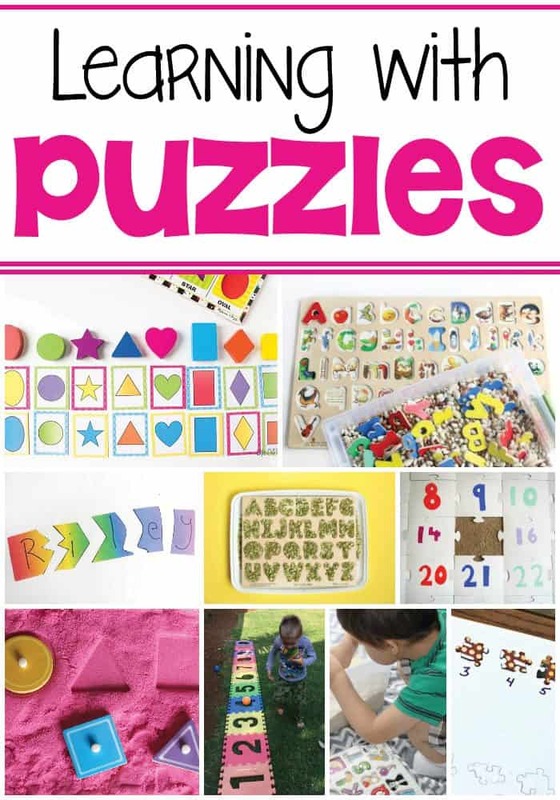 Use one set of cards to match to each of the puzzle pieces. 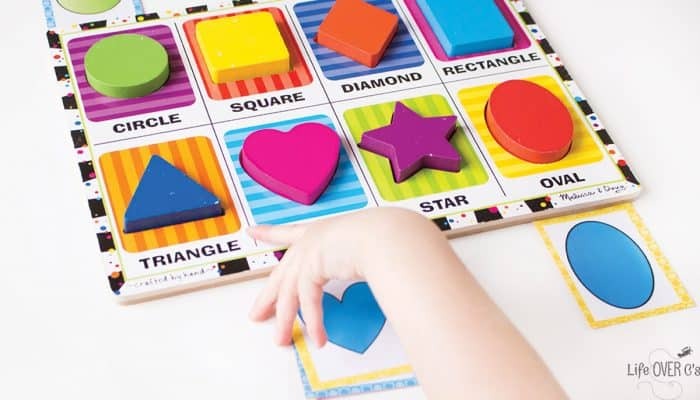 Because the colors do not match between the puzzle and the cards, it offers a challenge to children who have already mastered matching the colors with the shape pieces in the puzzle. My daughter created this idea on her own. She enjoyed placing the matching cards above and below the completed puzzle. We used both sets of cards to pair up with the coordinating puzzle pieces. 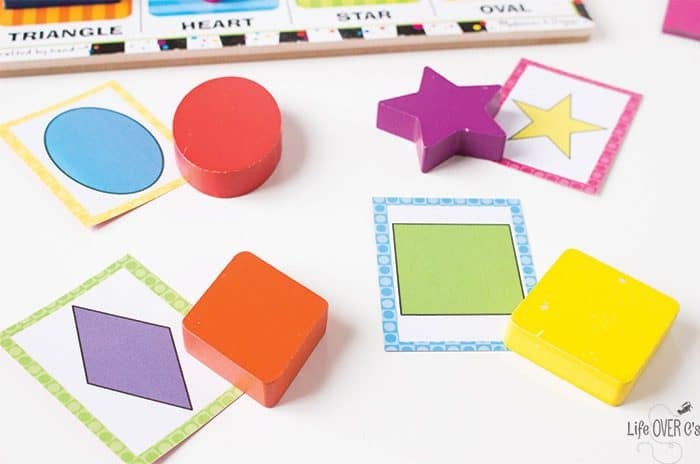 Use both sets of shape cards to play a memory game or do independent matching. More learning fun with puzzles!